These exotic birds are part of the "Jezzine Ware" line carved in Lebanon. Jezzine Ware was produced in Lebanon as early as 1780. 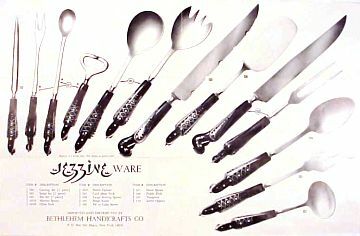 Sets of this cutlery were presented as gifts to the Ottoman Sultans. 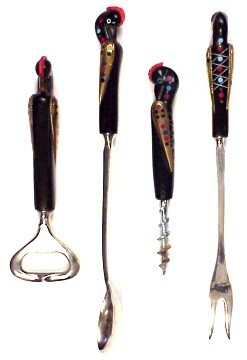 The handles are carved from African buffalo horn in a "Firebird" or "Phoenix" pattern. 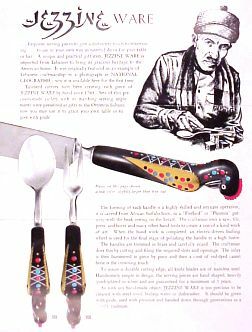 Below is a brochure from American importer and distributor Bethlehem Handicrafts, Ithaca, New York.